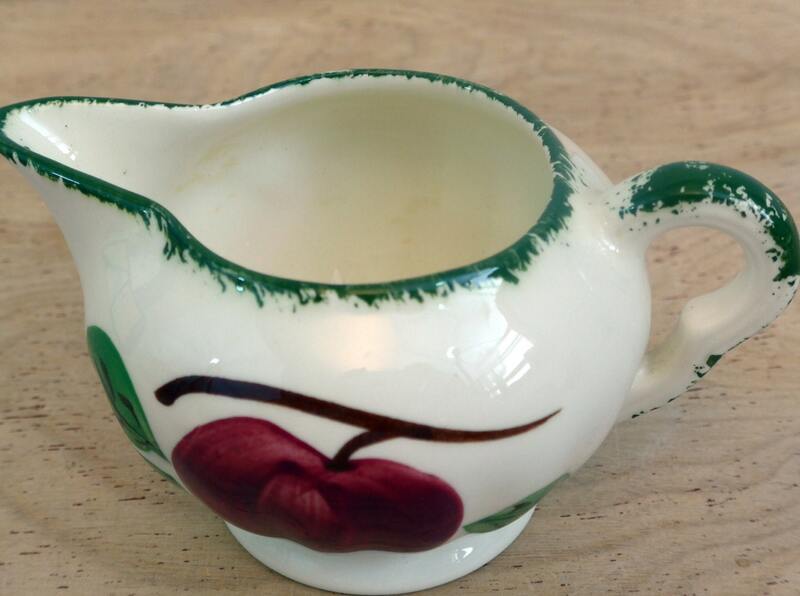 This vintage creamer from the mid century in the pattern called Apple Trio. 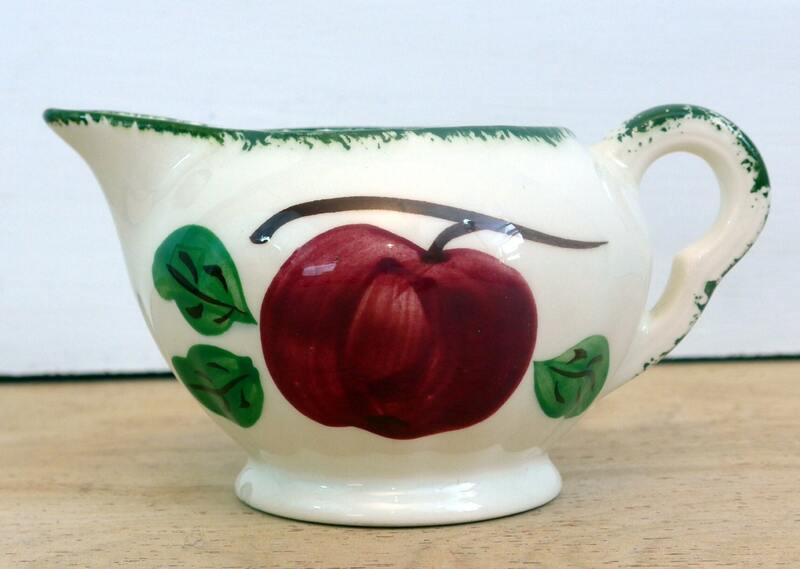 This china pattern was made by Blue Ridge Southern Potteries circa 1950s. My mom had this pattern when she got married. 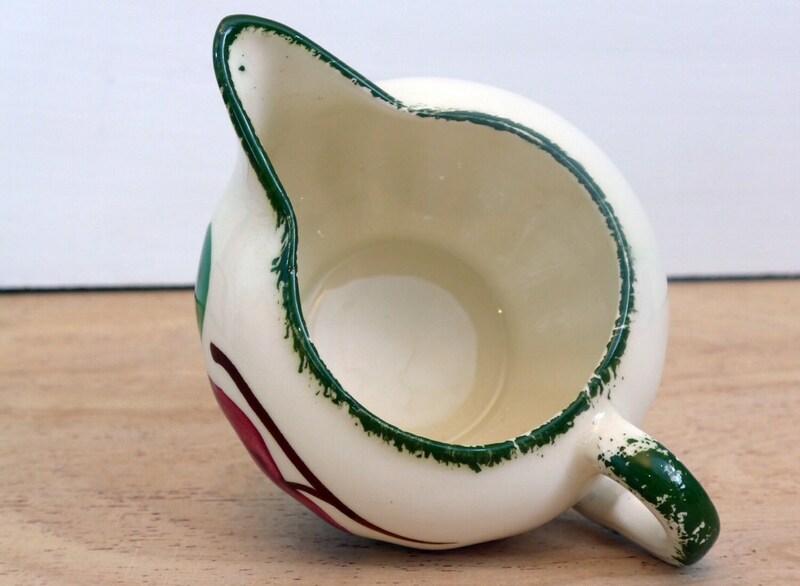 This creamer sells for $31.99 on Replacements.com. Measures approx. 5 1/2" across the long side from spout to handle and 4" across the short side and is about 3" high. 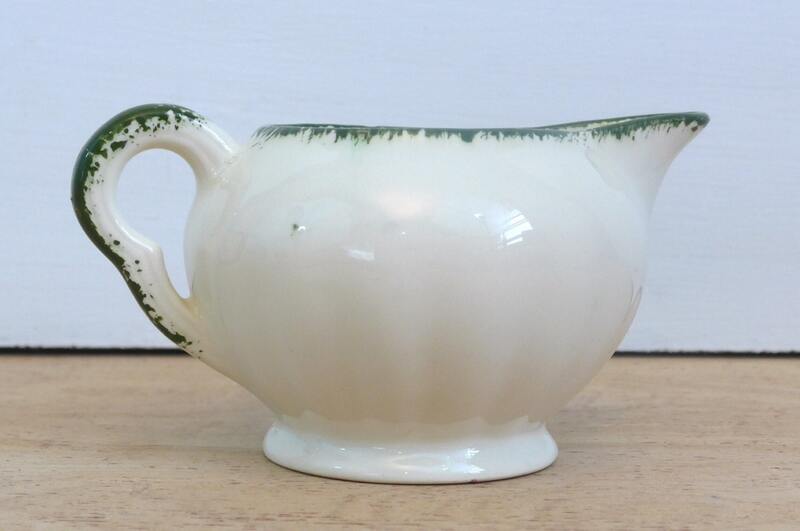 In nice vintage shape with no chips or cracks and little sign of wear on the top, sides and insides of the creamer - the bottom is the only place where some light wear is evident. There is a small chip on the bottom rim that can be seen upon close inspection. The price reflects this condition. 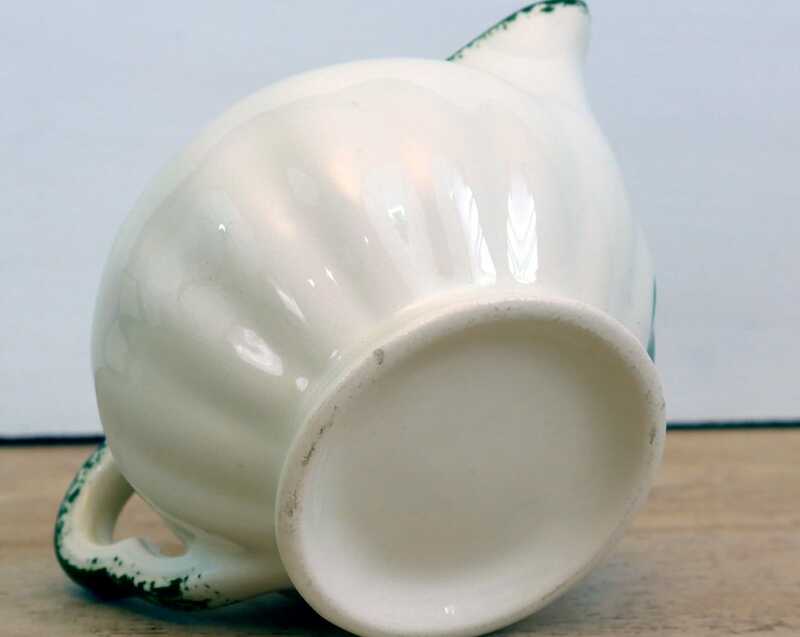 There are some green paint splatters and an uneven spot on the top rim that are all under the glaze - the creamer was fired this way.